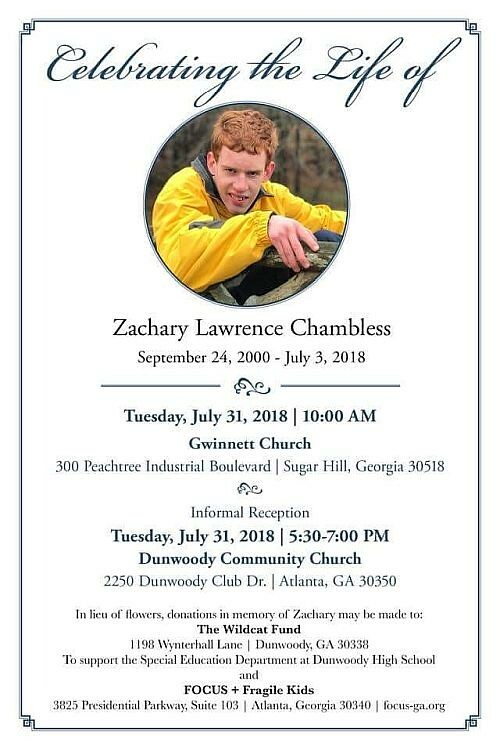 Celebrating Zachary Chambless - Tuesday July 31st. 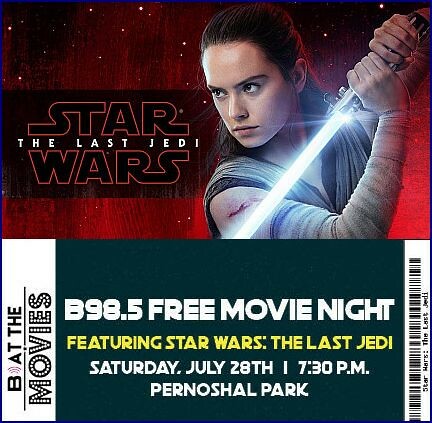 This FREE annual movie series put on by B98.5 FM is presented by LGE Community Credit Union, MetroPCS, and LOUD Security Systems and takes place in a different Metro Atlanta city every Saturday night from June through August. 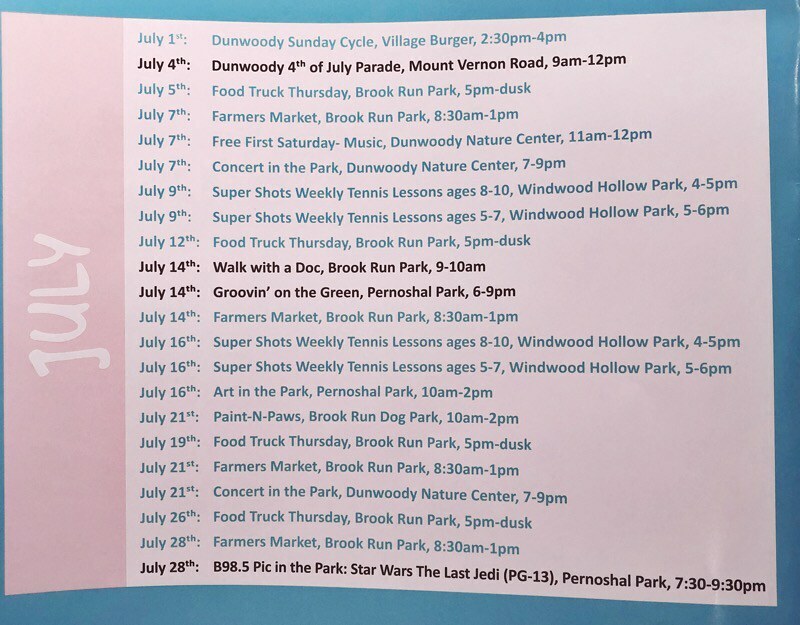 On Saturday, July 28th the event will be coming to Dunwoody’s own Pernoshal Park! Bring the family, a blanket or chair to relax under the stars and enjoy ‘Star Wars: The Last Jedi’ on a giant 45’ screen. All movies are open to the public and begin at dusk. Arrive early for fun games, vendors and awesome prizes! Vendors will be available until halfway through each film, but feel free to bring your picnic baskets and coolers. Please mind local ordinances/rules regarding open containers and glassware. Parents if you are looking for some outstanding entertainment on Monday, mark your calender's and be sure to get to the Dunwoody Library early as this will be a sell out event. Be amazed by Ken Scott and his hilarious and educational magic show. 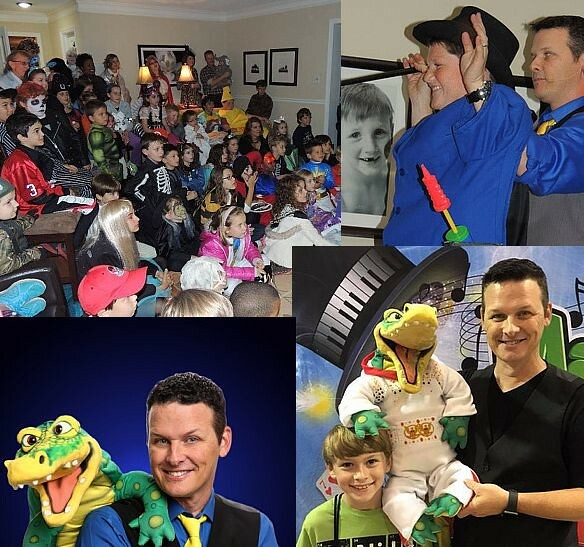 He's won the Great Atlanta Magician of the Year award three times! Groups of 5 or more, please call branch for appointment. Open to first 100 participants. Funding provided by the Friends of the Dunwoody Library. 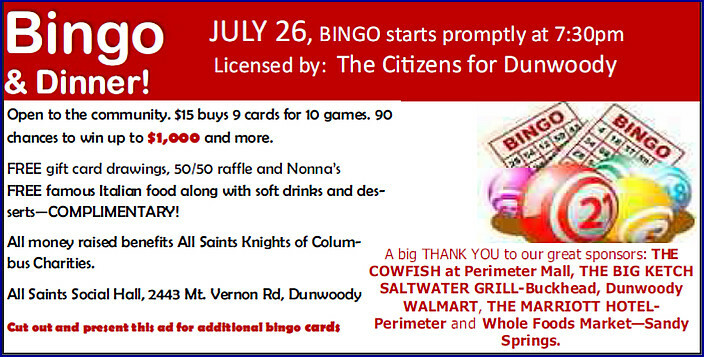 Dunwoody Community Bingo offers free meal and great bingo play. Thursday @ All Saints - doors open at 6:30. Doors open 6:30pm & games start 7:30pm. $15 buys 9 cards for 10 games. 90 chances to win. Drawings, 50/50 raffle, and Nona’s Famous Italian Sausage, Peppers & Onions. Open to the community. Enjoy a homemade, Italian meal made from generations-old recipes. Everything is COMPLIMENTARY, except the beer and wine, which are $2.00 per glass. Other complimentary items include soft drinks, water, snacks and desserts. Sack lunches for 10 nights at Central Night Shelter $1000. The butterfly tent times are limited - advise buying slots early! Because of the popularity of the festival, it is highly recommended that visitors pre-purchase timed entry admission to the butterfly tents via the Nature Center’s website at http://dunwoodynature.org/butterfly/. Pre-purchasing timed entry tickets (available now) is the only way to guarantee a convenient time for butterfly tent entry, AND guests will save on their tickets in the process. Pre-purchase admission is $8 for adults, $4 for children ages 4-12, and free to children ages 3 and under. Tickets the day of the festival are $10 for adults and $5 for children. Capacity for the butterfly tents is limited and once all of the entry times for the tents are allotted, admission will be for the festival grounds only. 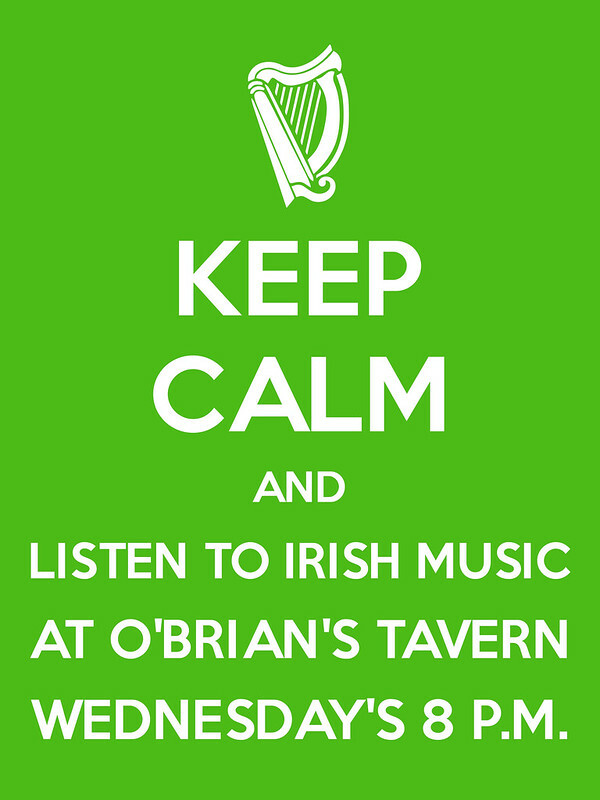 Fabulous Irish Music every Wednesday Night at O'Brian's Tavern in Dunwoody - 8 p.m. 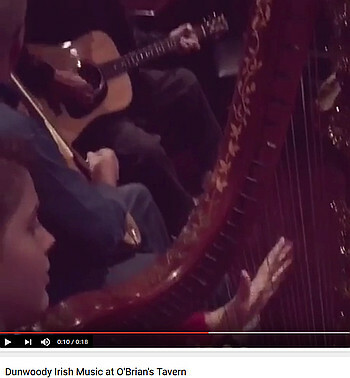 This is a repost but still valid - every Wednesday at 8 pm a large group of musicians gather together in the back corner of O'Brian's Tavern to play a little Irish music. The night I was there, there were 15 musicians huddled in the corner of the pub where the sounds of jigs & reels filled the air to where you would think that there was an Irish Orchestra playing for just you. If you haven't eaten the fine fare at the Tavern, I believe most would give it high marks as it is much more than typical pub food, check the menu for yourself and then come out, grab a table and enjoy your evening. Text Amendment to Chapter 16 re: Trees. Amendment to Chapter 4 (Alcoholic Beverages) re: Sunday Brunch Bill. Resolution Appointing Ericka Harris to be a member to serve on the Planning Commission. SECOND READ: Text Amendment to the PC-2 District (Chapter 27). FIRST READ: Text Amendment to Chapter 2 re: Planning Commission. Founding Dunwoody City Council Member, Adrian Bonser passes away after long struggle with cancer. Adrian Gendell Bonser DDS, 60, died on Friday, July 20 of complications from metastatic breast cancer in her home in Dunwoody, Georgia. Adrian was well-known throughout Dunwoody as a leading citizen and early proponent of Dunwoody cityhood. She joined the Board of "Dunwoody Yes!" at its inception in March 2008 and helped to establish Dunwoody as an independent city by December 2008. Adrian became the first female City Council member and served on the Council from 2008 until 2014 even as she was battling the breast cancer that would take her life. 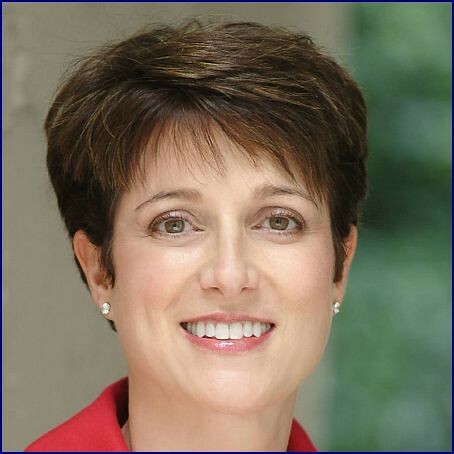 After her illness prevented her from serving actively in the city government, Adrian supported development in Dunwoody through philanthropic gifts. Most recently, she was proud to dedicate a rose garden at the Dunwoody Farmhouse historical site. Adrian first discovered Dunwoody when she established her private dental practice there in 1992 to provide general and cosmetic dental services. After building a thriving practice, Adrian sold her business in 2001 then worked for DeKalb County Board of Health for five years as a consulting dentist. Adrian grew up in Wyoming, Ohio near the city of Cincinnati and attended Wyoming High School. She earned a BS in Nursing at Indiana University then practiced as a Registered Nurse for eight years specializing in critical care. She attended dental school at The Ohio State University earning her DDS degree in 1991, followed by a year-long residency in hospital dentistry at Emory University. She is survived by her husband of 17 years, Brian Bonser. She was proud stepmother to Neil Bonser of Atlanta, GA and Ian Bonser of Gainesville, GA. She was proud grandmother to Emma, Addison, Madison, and Maya. Adrian is also survived by her mother, Marion Gendell of Atlanta, and her siblings Carin Gendell of Great Falls, VA; Jeff Gendell of Greenwich, CT; David Gendell of Westport, CT, Marc Gendell of Atlanta, and Brad Gendell of New York City as well as 14 nieces and nephews. Adrian was pre-deceased by her sister Danna Gendell Korell. A private graveside burial ceremony was held at Greenwood Cemetery, Atlanta, GA on Tuesday, July 24. In lieu of flowers, the family requests contributions to The American Cancer Society. I, Surgeon General of the United States Public Health Service, VADM Jerome Adams, am emphasizing the importance of the overdose-reversing drug naloxone. Carol Niemi of the Dunwoody Crier wrote an outstanding article on the opioid epidemic facing the entire Atlanta area and it highlighted information from Dunwoody Police Department Sargent Robert Parsons how our small community is not immune from the problem. 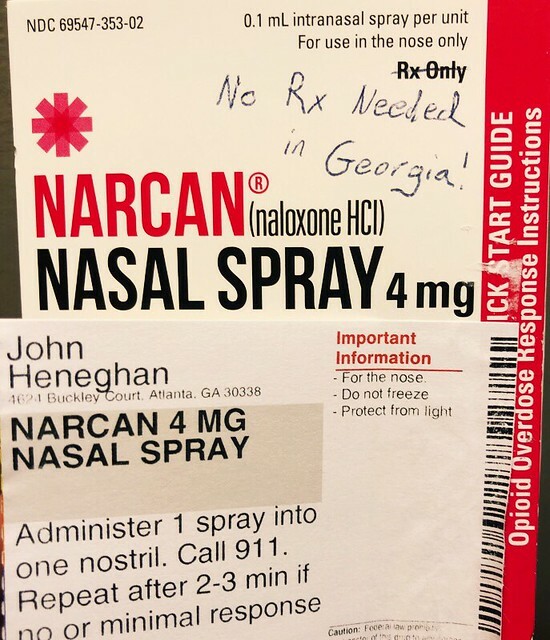 On the very day of this article, the statistics mentioned were already outdated as the Dunwoody Police administered Narcan on Tuesday to a person (having lunch in a fine dining establishment in a nice part of town) needing assistance because of an over dose. Knowing how prevalent these over dose occurrences are happening, I saw in the article where no prescription was needed to purchase the possibly life saving drug therefore I decided to see if I could get my hands on some. I called the local CVS pharmacy I frequent, asked for pricing and then placed an order. The price off the shelf was $99 for a two dose kit and I was able to use my health insurance which brought it down to $10.00. I hope my family never opens the package shown above but with numerous neighborhood teenage kids hanging out at my home, I see it as an insurance policy I hope I never have to use. I am thankful that every Dunwoody police car is carrying a dose along with an AED but it makes me think of all the other AED locations (schools, libraries, public buildings) where this drug may be needed in an emergency but is not available. The US surgeon general issued an advisory in April recommending that more Americans carry the opioid overdose-reversing drug and hopefully it will be stocked in public places where it makes sense. According to the CDC (Centers for Disease Control), 115 Americans die every day from an opioid overdose. Some of them are in Dunwoody, and that number is rising. The Dunwoody Police treated six opioid overdoses in 2016 and 13 in 2017. If the current rate continues, the number will double again this year. Drug overdoses are increasing all over the country mainly because the cartels that control the illegal drug trade are mixing the usual drugs with a cheap, highly potent synthetic opioid called fentanyl. Fentanyl first became widely known in 2016 when it was revealed as the cause of death of the pop singer Prince. Often used during surgery because of its intense and fast action, fentanyl is so potent that someone can die just by breathing it. “Fentanyl is 40 to 100 times stronger than morphine,” said Parsons. Fentanyl is so lethal that the city of Duluth has had to evacuate its police department twice because of fentanyl accidentally released into the air. And if fentanyl isn’t bad enough, the cartels have recently started using carfentanyl – 100 times more potent than fentanyl, 5,000 times more potent than heroin and 10,000 times more potent than morphine. “A lethal dose is very, very low,” said Parsons. When The Crier first met Parsons in 2016, he was the first Dunwoody police officer to administer naloxone hydrochloride, an effective opioid antidote, using the EVZIO auto-injector, having administered two life-saving doses to an unconscious male in 2015 who made a full recovery. At that time, all Dunwoody police cars carried needle-based EVZIO auto-injectors thanks to a grant that covered the cost of $4,500 for a box of two. When the grant ran out, the city lacked the money to buy the 60 to 70 boxes needed per year and switched to a cheaper nasal spray form of naloxone called NARCAN, which costs the city only $75 for a box of two bottles. Since the police often arrive at the scene of an overdose before the ambulance, having NARCAN in every squad car is critical since the difference between life and death can be one or two minutes. “No matter what device we’re using, since fentanyl is here, it takes a lot more to revive people. Now we’re commonly giving up to four doses,” said Parsons. Parsons says more than 50 percent of all OD deaths in 2016 involved fentanyl. One reason for the increase of fentanyl is that the illegal drug trade has changed. Previously, most illegal drugs sold in Georgia were made locally in people’s basement and garage labs using simpler ingredients. Local dealers sold them in places like “The Bluff” in southwest Atlanta. “Now the sophisticated drug cartels from Mexico are operating everywhere,” said Parsons. Though they market the drugs in the U.S., the Mexican cartels buy them from China, where until March 2017 fentanyl and carfentanyl were not controlled substances and were manufactured legally and sold openly over the Internet. Several Chinese chemical companies still make and actively market them. According to Parsons, fentanyl and carfentanyl are smuggled over the border and “mixed with everything,” including heroin and counterfeit Percocet or Vicodin tablets the drug traffickers make. The fake pills are so realistic addicts don’t know they contain the more lethal substances. Recently, he had to administer “multiple doses” of NARCAN to save a man who had taken fake Percocet pills. Police have treated opioid overdoses all over Dunwoody in all socio-economic groups. “Of all the places we’ve been and people have died, we’re looking at restaurant restrooms, cars, apartments and very nice homes. We’ve been to neighborhoods like Redfield,” he said. In the past three years, drug overdoses in Dunwoody have resulted in 15 fatalities, due mostly to fentanyl. The average Dunwoody fatality has been a 30-year-old male, which is in line with the national statistic of males in the 25-to-34 age bracket having the most overdose deaths. Since most addictive opioid use starts with legally prescribed painkillers, often to young people with sports injuries, or to recreational use of drugs found in the home, authorities advise people not to keep unused drugs in the house, where young people might find them. The Dunwoody Police Department advises against flushing drugs down the toilet into the water system and instead urges people to turn their unused medications into a designated “prescription take back” site. People can find a list of local sites at doseofrealityga.org/drug-takeback/ or simply bring their unused drugs to the drop box in the Police Department lobby on the second floor of Dunwoody City Hall. “Get these drugs out of the house,” said Parsons. Parsons is obviously passionate about the opioid crisis, and his passion is personal because his mother died of an opioid overdose at the age of 46. I was heartbroken when I heard the news of this tragedy as I have had numerous interactions with this young man and his family. 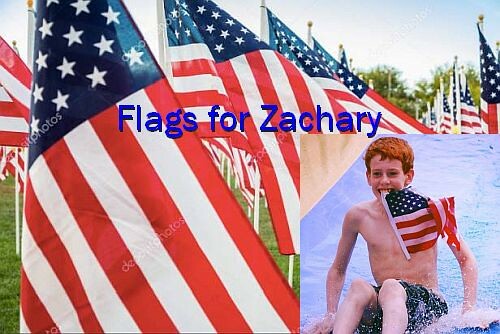 Zach loved flags, the circus and backyard chickens. My friend Audra Anders of the Aha Connection posted a suggestion to the community to fly a flag in honor of Zachary & I can tell you that the flag over my garage will be flying in Zach's memory for the rest of July. Apple to add life-saving new GIS feature for 911 but how will it improve services on the Dunwoody borders with other 911 jurisdictions? As a member of the Dunwoody City Council, one of the most aggravating subjects to cross my desk is hearing that a resident called 911 and it was answered by Gwinnett County, transferred to Doraville and finally routed to ChatComm which services the City of Dunwoody. 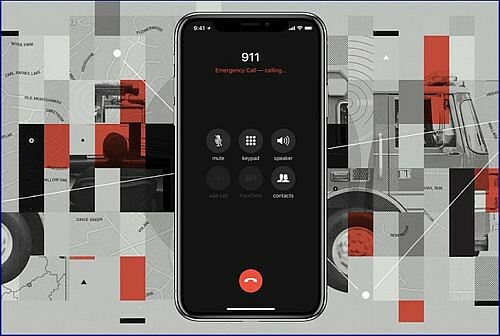 The latest problematic call was made in the City about a half mile way from Gwinnett by an iPhone with Wi-Fi calling activated on the phone and the call was routed to the wrong 911 Center. Technology is wonderful but when it comes to safety every little glitch is problematic and hopefully this upgrade will be incorporated by all area 911 centers. I have an email into Chief Grogan and ChatComm looking for more information but I am hoping for better service as technology improves. Portable interconnected Voice over Internet Protocol (VoIP) services can be used from virtually any Internet connection anywhere, which raises challenges for the emergency services community in determining the location from which a 911 call has originated. VoIP 911 calls may not connect to the PSAP, or may improperly ring to the administrative line of the PSAP, which may not be staffed after hours, or by trained 911 operators. VoIP 911 calls may correctly connect to the PSAP, but not automatically transmit the user's phone number and/or location information. VoIP customers may need to provide location or other information to their VoIP providers, and update this information if they change locations, for their VoIP 911 service to function properly. VoIP service may not work during a power outage, or when the Internet connection fails or becomes overloaded. I'm hearing there's a community buzz regarding Tuesday night's planning commission meeting with the proposal of allowing architectural changes to Dunwoody Village. Review and consideration of text amendments regarding the Dunwoody Village Overlay (Chapter 27). SLUP 18-01: Archie C. Wanamaker, owner of 5419 Chamblee Dunwoody Road, Dunwoody, GA 30338, seeks the following Special Land Use Permits from Chapter 27: 1.) Sec. 27-97(e)(1)(e) to allow for steel headers; 2.) Sec. 27-97(e)(2)(a) to allow for a flat roof; 3.) Sec. 27-97(e)(2)(b) to use a light colored roofing material; 4.) Sec. 27-97(e)(2)(e) to remove any roof projections; 5.) Sec. 27-97(e)(4)(a) to allow black framed all glass doors; 6.) Sec. 27-97(e)(4)(d) to allow square window sections; 7.) Sec. 27-97(e)(4)(f) to allow for non-double hung windows; 8.) Sec. 27-97(e)(4)(g) to allow for square window panes; 9.) Sec. 27-97(e)(4)(h) to remove requirements for shutters; 10.) Sec. 27-97(e)(4)(i) to allow for the use of steel channel headers; 11.) Sec. 27-97(e)(4)(j) to allow for windows to be less than 20 inches above grade; and 12.) Sec. 27-97(I)(1) to allow for the removal of the landscape island on the mitered corner of the building per the conditioned site plan (SLUP 16-101). The tax parcel number is 18 366 05 009. On July 1st, the City of Dunwoody Community Development and Economic Development Directors visited the Dunwoody Homeowners Association Meeting to discuss the changes being proposed to the overlay requirements of the Dunwoody Village area. Most of the conversation relates to changes on allowing a greater variety of architectural variety to the Dunwoody Village. Video of the meeting is linked below. The DHA then made several position statements regarding the items up for review at Tuesday's Planning Commission and next months City Council Meetings. On SLUP Application 18-01 for architectural changes to the proposed restaurant on Chamblee Dunwoody & Mount Vernon. DHA would like the Planning Commission and City Council to review the Dunwoody Village Overlay District Zoning Codes before approving any specific project in the Dunwoody Village Overlay District. We are uncomfortable with the SLUP process which opens the door for spot rezoning. This is directed to the process, not the visual presentation by Crim and Associates. DHA opposes the architectural changes and other controls to the Dunwoody Village Overlay District presented by Richard McLeod on Sunday, July 1st, without well thought out replacements that are publicly vetted by the community. Finally, past DHA President, DeKalb Planning Commissioner and Chief of Staff to various DeKalb County Commissioners, Mr. Bob Lundsten feels very strongly that the SLUP application to loosen the architectural requirements for one proposed restaurant is improper and that the overlay code should be modified first. Mr. Lundsten was interviewed on the What's Up Dunwoody Podcast explaining the history and regulations of the village therefore is worth a listen. I have also received a number of emails on both sides of the topic and have talked to numerous people therefore I also plan to be in attendance at the Planning Commission meeting on Tuesday to listen to the conversations and pubic comment. FIRST READ: Text Amendment to Chapter 16 re: Trees - Stream Buffer compliance. Resolution Appointing a Member to Serve on the Planning Commission. Resolution Appointing a Member to Serve on the Dunwoody Design Review Advisory Committee. Requests for Special Event City Co-Sponsorships. FIRST READ: Amendment to Chapter 4 (Alcoholic Beverages) re: Sunday Brunch Bill. U.S. 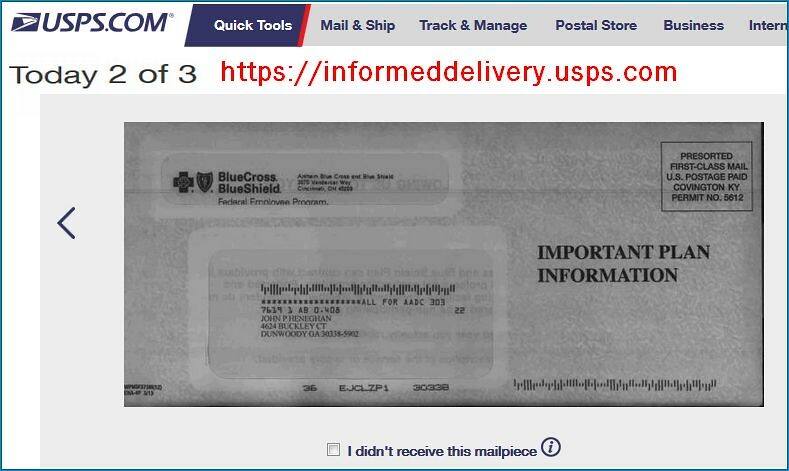 Postal Service offers Informed Delivery to see your mail before it arrives in your mailbox. I have been using the U.S. Post Office's Informed Delivery on-line notification service for about a week and it has pretty much worked as promised showing me digital photos of every letter that will be showing up in my mailbox that afternoon. It isn't something I would review on a regular basis but it is nice having an email arrive in the background every morning showing me whats going to be delivered. If I was waiting on a check or other important piece of mail, it is nice knowing that I have ther service running in the background where I can see what is coming and can review past history on the USPS website. After reading so many items lately on mail fraud and mail box security, I figured this was something worth sharing. It's Chesnut Elementary's 50th Birthday!!! Kristin & I were Chesnut Parents for 13 consecutive years so if you too have enjoyed being a part of the Chesnut community please share why the school is so special! My favorite elementary school is celebrating 50 years in Dunwoody!! -We know current and former Chesnut Cougars will have lots and lots to say! -So tell us ...what is it you love/had loved about being a Chesnut Cougar that has/had been so great? -And that has given Dunwoody families such warm memories of this little school since 1968? 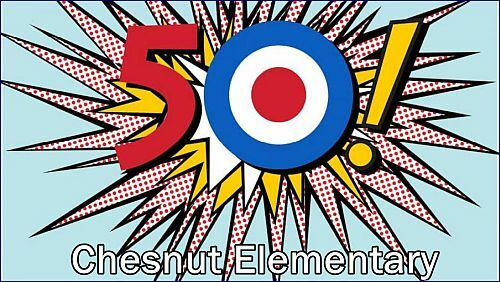 Please send an email (as succinct as possible) to 50reasons@chesnutelementary.com and kindly include name, age (year graduated or Chesnut age/grade in 2018-19). If you are a staff member or former staff member, please include info. If you are a parent/former parent, you are welcome to reply as well. The bulk of the responses we choose are planned to be from current and former students and staff. We cannot wait to share so many amazing reasons to love Chesnut!! We are looking to have all submissions by 7/23. 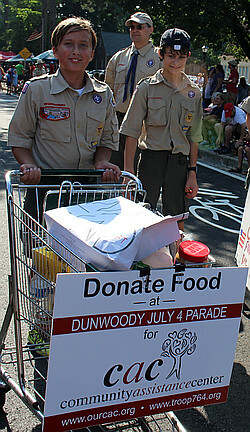 Dunwoody Homeowners Association hosts Georgia's Largest 4th of July Parade - kicking off Wednesday at 9 a.m.
On Wednesday, July 4, 2018 at 9:00 a.m., the Dunwoody Homeowners Association and the Dunwoody Crier Newspaper will host the annual Fourth of July Parade featuring marching bands, floats, clowns, animal units and local celebrities. Last year the parade attracted over 2,500 participants and 32,000 spectators! This year’s theme is "Dunwoody Salutes America and the Arts", and the Grand Marshall is Bob Kinsey, CEO, Spruill Center for the Arts.